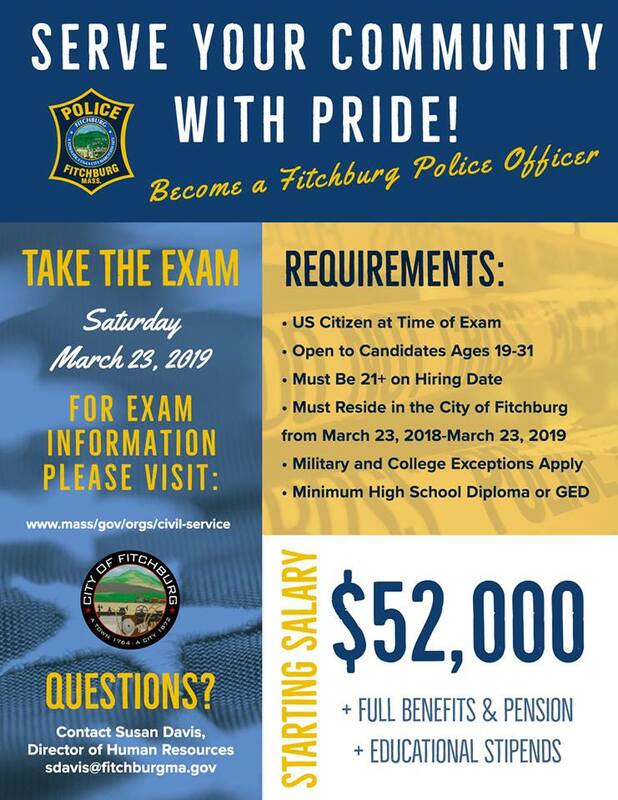 Become a Fitchburg Police Officer! You must be a US Citizen, HS Diploma or GED, be between 19-31 years of age, & must reside in Fitchburg between 3/23/ to 3/23/19. Police, correction officer and firefighter exams, including entry level, promotional level and military makeup.